Gary Chavez is an Aerospace Engineer and a retired Major who served 20 years in the US Air Force. With the support of his wife and two children, Gary decided to take his game design hobby and create GC Rcoket Science Games. 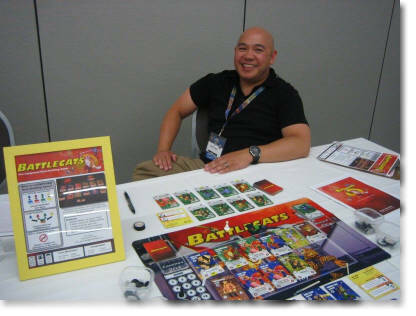 His creations include "Battlecats - The Compound Deck Building Game" which won the 2017 CinCityCon Most Innovative Game Mechanic Award and was also chosen as a showcase game at the 2017 Boston Festival of Indie Games. 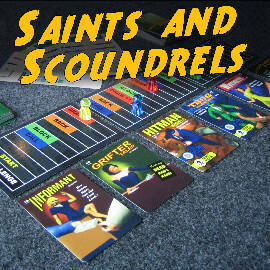 He is currently working on "Pulp Scoundrels" which is a light quick bluffing card game. Gary grew up in San Francisco, CA with a large extended family - aunts, uncles, and cousins, most of whom lived nearby. Boardgames were often played at weekend family gatherings. His favorite games include Nuclear War, Ticket to Ride, Marvel Legendary, Star Realms, and King of Tokyo.